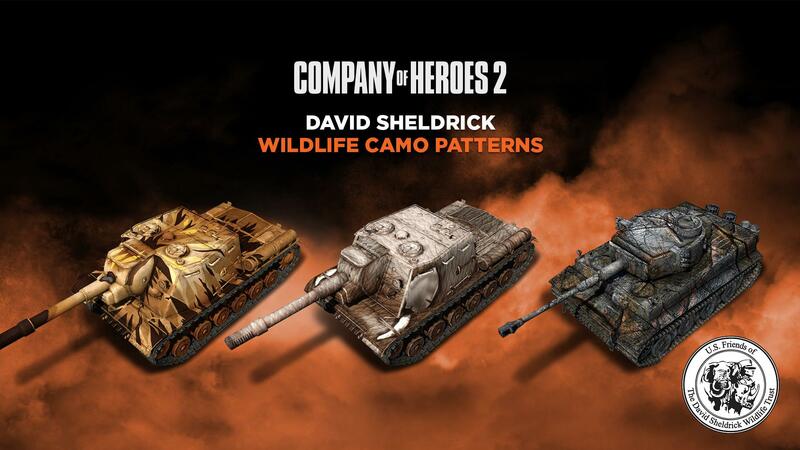 In Relic and SEGA's ongoing effort to support the conservation of wildlife and endangered species, we have partnered with Whales and Dolphins Conservation and The David Sheldrick Wildlife Trust to help raise funds for these great causes. 6 new charity-themed skin sets have been added to the game where all of Relic's / SEGA's associated revenue from the sales of these items will go to their associated charity. 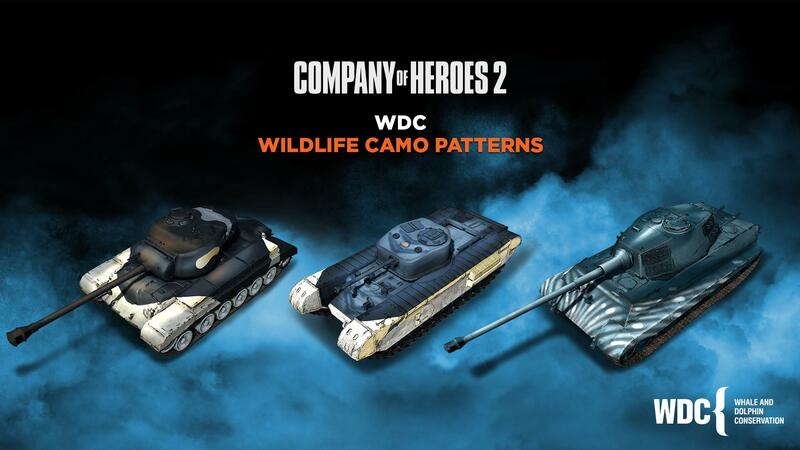 If you would like to help protect endangered species and give your favorite COH2 faction a fresh new coat of paint, you can buy the WDC Charity Camo Pack and the David Sheldrick Wildlife Conservation Charity Camo pack on Steam.